So why do I need the rubber brush?? If you’ve purchased a Norwex mop through me, you know that I always guide you to also purchase the rubber brush with your mop! 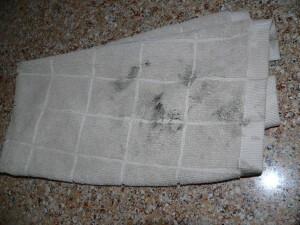 And sometimes people wonder what exactly a humble little ol’ rubber brush can provide! So I want to give you some reasons why this brush deserves a spot on your mop hanger!! If you own our Norwex mop, the rubber brush will decrease how often you need to launder your mop pads, as it does a fantastic job of cleaning dust/ dirt/ debris out of the mop pad. 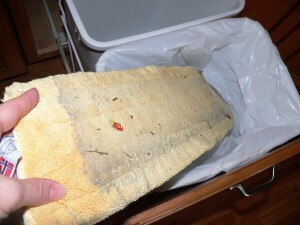 Our microfiber is amazing at holding on to things, so that’s why the rubber brush is so helpful at removing that debris that the mop pad holds on to. 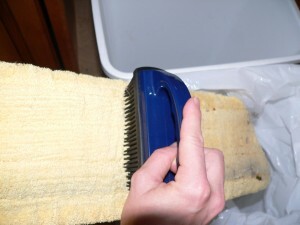 (The brush also works great to get dust out of the dusting mitt, and rejuvenates the static cling of the fibers a bit.) 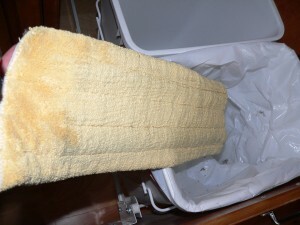 🙂 As you can see in the photos below, the mop will still need to be laundered to remove the grayness/ dirt, but after cleaning it with the brush, I can go and continue to mop my wood floors, vinyl flooring, tile floors, laminate, etc… before needing to launder the mop pads. 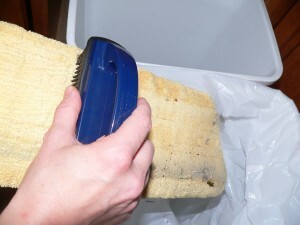 A few more reasons customers love the rubber brush… removing pet hair from pet beds and furniture (use short strokes downward), removing the debris that collects in the carpet along the trim (that the vacuum doesn’t reach) & cleaning carpeted stairs- again, just use the rubber brush with short strokes to pull up the dirt, dust bunnies, pet fur, etc that collects there! 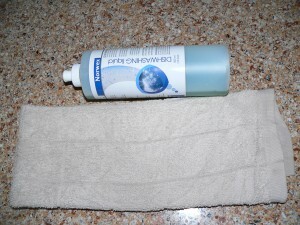 Buy Norwex Online! Click here to order your own Norwex Rubber Static Brush.